Casper has made some improvements to its design since its original debut. This review represents the most recent version of their mattress. Recently, there has been an uprise of new companies trying to compete against Casper in an attempt to steal the number one spot in the industry. Despite the efforts of its competitors, Casper seems to have one of the best mattresses out there and is actually one of my favorite mattresses available on the market today. Although not everyone will decide this is the right mattress for them, it is most definitely worth your time to check out Casper if you are considering upgrading to a higher quality mattress for an affordable price. Construction– Casper is comprised entirely of foam and has four layers that amount to 10 inches total of thickness. Upon examining the structure of the mattress, it appears to me that Casper is appealing to people who are seeking the pressure relief provided by a memory foam paired with the bounce and cooling-effect of latex-like foam. Cover– Due to being 100% polyester, the cover has a very soft feel to it, along with some thickness, which gives you a nice cozy feeling. The cover quickly reverted into place after I tugged on it; thus, you won’t have to be concerned about it bunching up every time you move around or change positions. Through experience, I found the cover to be pretty breathable, enabling air to circulate throughout the mattress, essentially helping the sleeper to stay cool and comfortable. Back/Stomach Sleepers– Personally, I found that the mattress is slightly firmer than average; however, it still manages to conform to the natural curvature of your body. With that being said, I think it’s the perfect choice for those who tend to sleep on their back or stomach. Middle Weight Range Side Sleepers– In my opinion, the Casper mattress provides excellent pressure relief for those of average weight, who is not too light nor too heavy. The combination of both the comfort foam and memory foam attributes to creating this soothing pressure relief. Value Seekers– By choosing Casper as supposed to other comparable mattresses available at retail stores, you can save a great deal of money. It provides substantial value over retail store alternatives, making sure that you won’t break the bank. 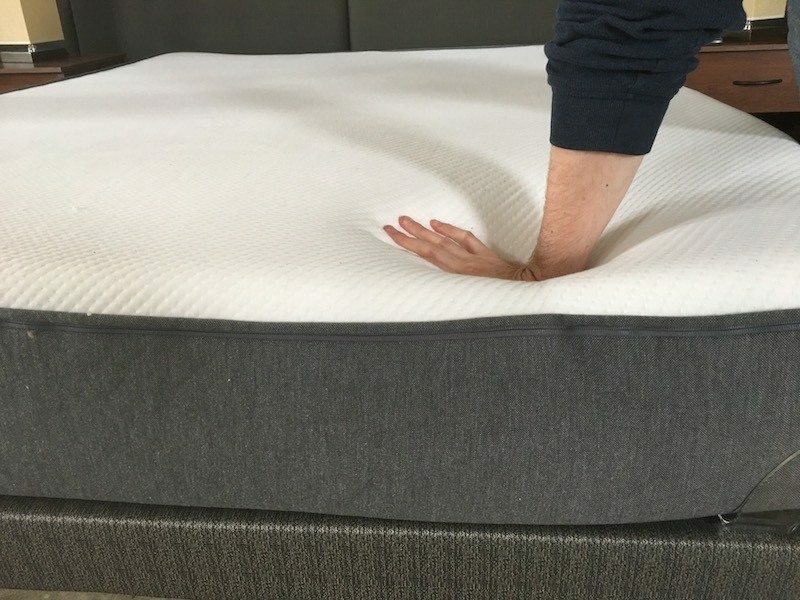 You Want Some Bounce/Resilience–If you desire pressure relief but don’t particularly enjoy the slow-moving feel you get from memory foam, the Casper might be a great option. It’s built with top-notch resilience, making it much easier to shift around and change positions while sleeping. Durability– Because Casper uses high-quality materials, the mattress should remain durable for the long run. Its longevity is top-of-the-line in comparison to other leading bed-in-a-box options. Although you can find mattresses out there that are substantially more costly that may last longer, I believe that the durability and life-span of the Casper will still be solid, especially when considering the price. Accommodates a Wide Range of Preferences– Throughout the firmness segment of the review, all of the testers ranked the Casper within the 6-6.5/10 range on the firmness scale. A rating within this range is considered to have a medium firmness, meaning that it should provide a comfortable feel to a wide variety of sleep styles. Edge Support– If you share your bed with another person and need to utilize the entire surface area of the mattress, edge support almost becomes a necessity. Typically, foam mattresses have great difficulties competing with the edge support provided by the traditional innerspring mattresses; therefore, I found it imperative to examine how I would feel near the side of the Casper. As I was lying on my back close to the side, I experienced reasonably even support from the center all the way to the side of the mattress. I didn’t feel like I was going to roll over the side and fall off the bed, and I could even hang off the mattress quite a bit with pretty minimal compression. As I was sitting up on the edge, as if I were getting into bed at night or putting my shoes on in the morning, my weight was concentrated entirely onto one section of the mattress. This seated position did an excellent job of exhibiting how the edge of the bed would react as a significant amount of pressure is applied and, although there is some slight compression through the soft layers, I would say that the firm base of the Casper exceeded my expectations as far as supporting my weight and maintaining its shape. 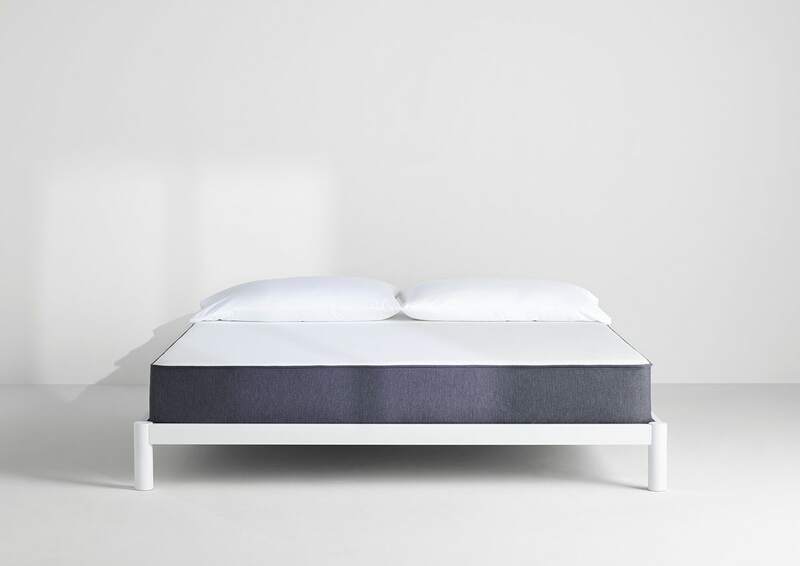 Balanced Foam Feel– As a result of the construction along with the different materials used, the Casper displays the qualities of multiple foam types. The comfort layer offers the bounce and cooling features associated with latex foam, whereas the memory foam below provided pressure relief. You Like The Innerspring Feel– The feel of the Casper is entirely different from the typical innerspring/foam. If that is the feeling that you prefer, then I suggest you continue to browse for more suitable options elsewhere. This is definitely something to make a note of, but for me personally, I truly enjoyed my experience with Casper. You Love The Pure Memory Foam Feel– Mattresses containing memory foam provides a very distinct feel. The Casper is far more resilient and bouncy, so if you are fond of that memory foam feel, Casper may not be quite for you. You Have A Really Small Or Large Budget– Casper claims to have the best mattress. However, if you are searching for a temporary mattress that is only going to be used for just a couple of years, and you don’t necessarily want to invest that much money, there isn’t any reason to pay the price of a Casper (something more economical, such as the Tuft and Needle, might be the more sensible option). On the other hand, if you have room for a larger budget, there are plenty of better, ultra-luxury mattresses, out on the market. Weight-Limit– Casper has self-proclaimed that there is no weight limit and they also haven’t tested any weight in which the mattress quits providing support. If you happen to be over 350 lbs., I highly recommend searching for a mattress tailored specifically to heavier individuals. The Mattress Sleeps Cool– During my experience, I noticed that the mattress slept cool. If you reside in a place of warm climate, this may be the key to getting a good night’s rest. Covering memory foam with latex was a smart move since memory foam mattresses tend to sleep slightly hot. I made sure I dedicated special attention to this detail when I decided to review the Casper mattress. Still Waiting on Long-Term User Data– Since the company is still very new, we can’t say with certainty at this moment on whether or not the mattress will hold up for the long run. Sometimes, foam mattresses have a tendency to start sagging as time goes on. Although I don’t think that will be the case for Casper, it is still too early to determine or say anything factually. Customer-Friendly Policies– The company offers a convenient 100-night free trial and also consumer-friendly return policies. This should lessen any doubts or concerns you may have with regards to purchasing the mattress online without seeing it first in person. Zipper– The mattress consists of a zipper, so you’ll be able to remove the cover and wash it if you desire. In my opinion, this is a nice little bonus to have. Stomach Sleepers– I feel the Casper is an excellent match for stomach sleepers. It’s just a little firmer than average and also eliminates any pressure you may encounter while sleeping on your front side. Back Sleepers– Additionally, I consider the Casper to be a suitable match for back sleepers. It does a very nice job of conforming to the curves of your body and is generally slightly firmer. Side Sleepers– For anyone who is very lightweight, the mattress may very well be a tad too firm. For anyone who is really heavy/obese, you might push through the comfort layers and reach the more firm layers underneath them, and you would thus believe that the mattress seems to be too stiff. Based on my observations, I find this to be an appropriate fit for side sleepers of average weight. When rating the Casper mattress, I kept my focus equally as much on the materials, my personal sleep experience, and of course the overall value. Personally, I believe it truly distinguishes itself from other mattresses in regards to comfort — a top choice of latex-like mattress feels available on the market. When taking into consideration it’s reasonable price along with the company’s excellent track record, without a doubt, this is an excellent option for a wide range of shoppers.